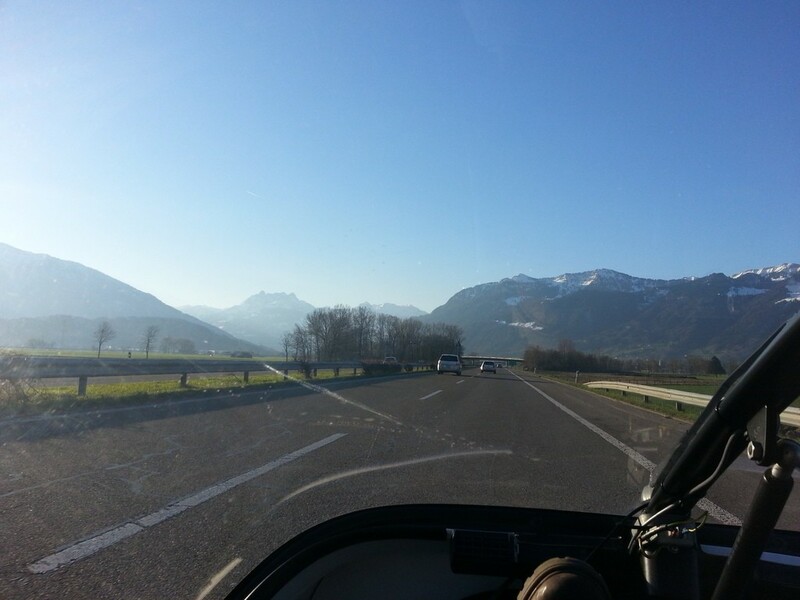 Imagine: A saturday – my family fully booked with horse riding and shooting, weather forcast superb for all of switzerland… I decide to leave bright and early to drive wherever TW560 takes me. 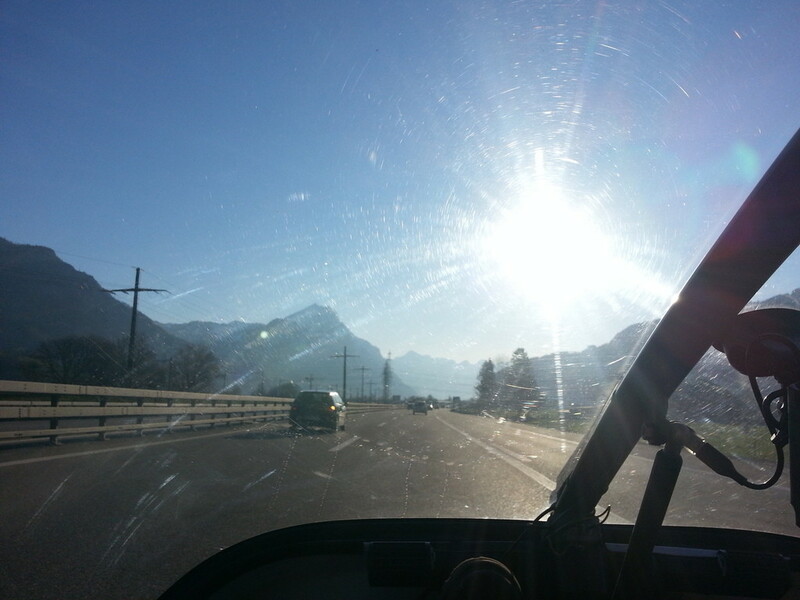 although i started out as random as possible, arriving in chur gave me just a limited choice of places to go. 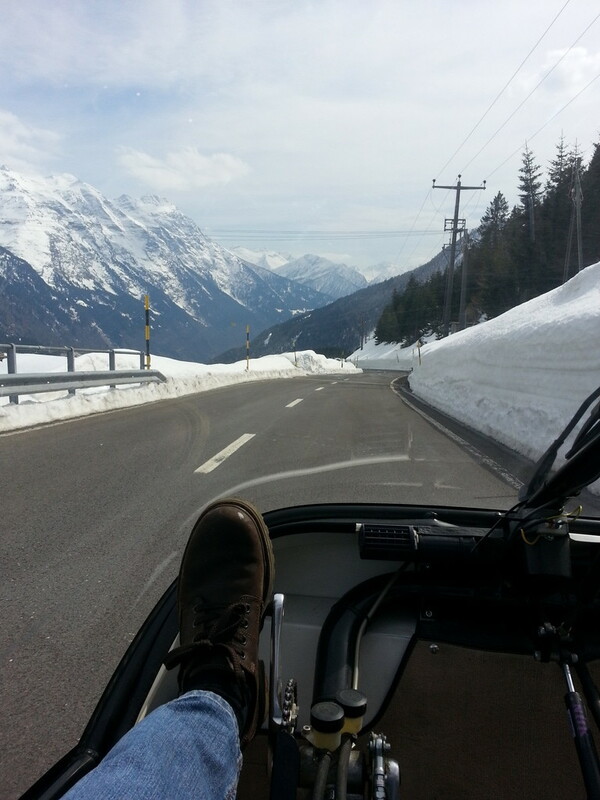 therefore, i decided to do this trip in the opposite direction, without the passes, since they were still covered in snow. i took the motorway, since i wanted to move away from where i usually am as fast as possible. churfirsten, always a nice view! 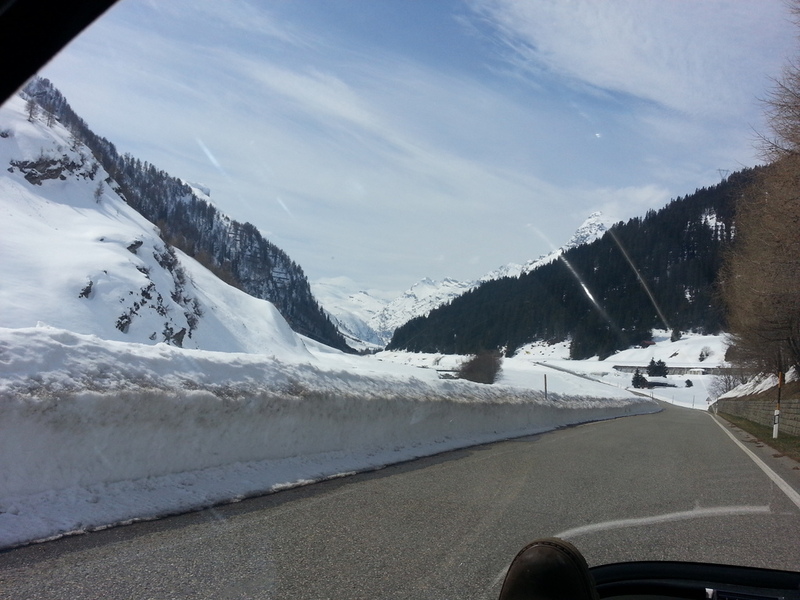 the alps, slowly coming closer! 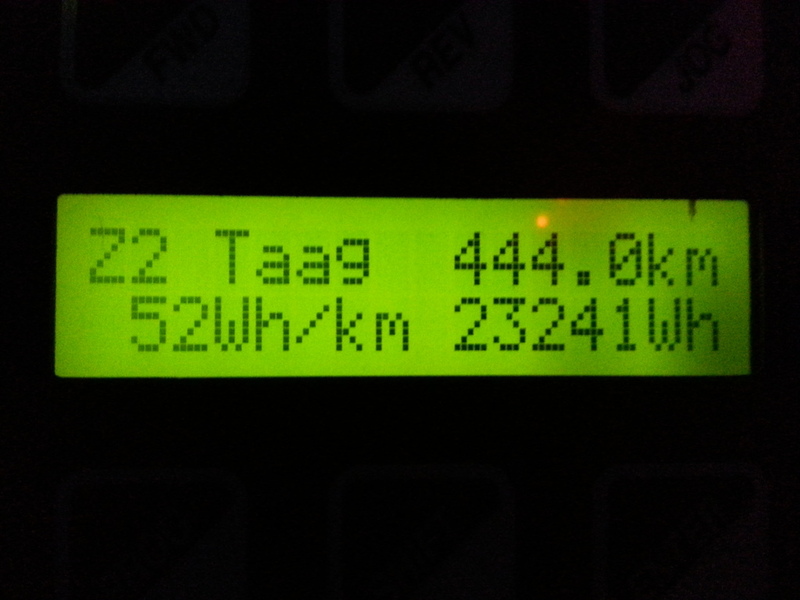 the solar tracker was producing about 10kW of power whilst i was only consuming about 7kW. 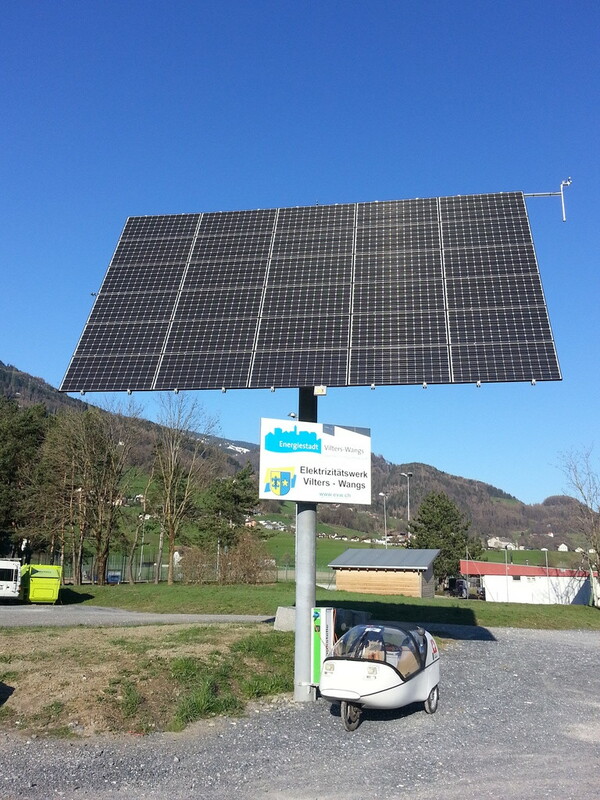 my charge was therefore 100% direct-solar and the charge felt really good. the hotel just 150m away was very happy to provide me with some breakfast whilst i waited my 65 minutes for a full charge. finally i’m climbing towards the st. bernardino. aaah. snow & ice! that’s why ther aren’t any motorbikes around! 2m high snow. really strange end of march! Temperatures quickly are much lower as i’m used to. 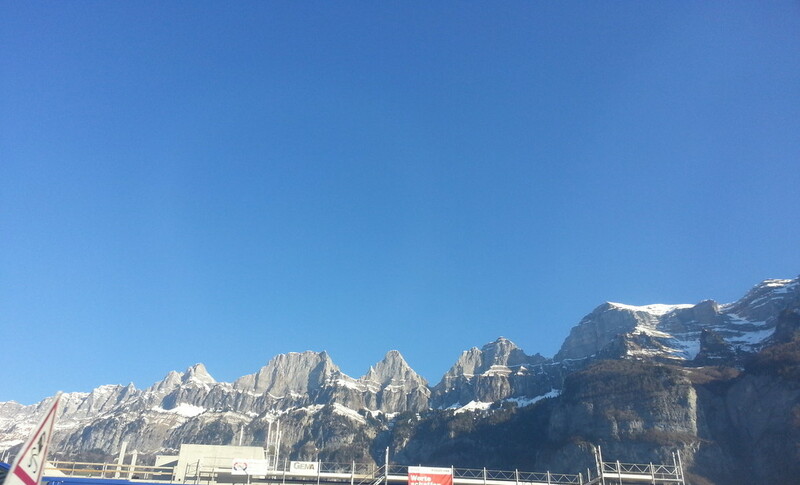 at 1500m, even in bright sunlight, i’m back to 8°C. lake sufers, TW560 looking good! if you look around there are sill ski-lifts active and small dots representing skiiers are dotted on various hills. winter ist still very much in control here! this time the st. bernardino pass isn’t open yet! 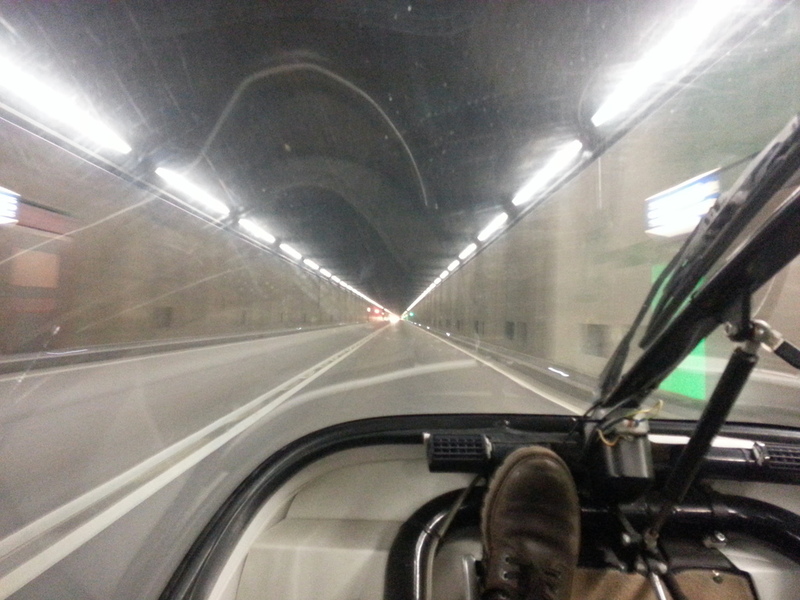 i have to take the st. bernardino tunnel, since the pass is not yet open. i surprise some foreign tourists whilst crossing through the layby just before the tunnel. the guy even installed a tri-phase plug outside since the last time i was here! 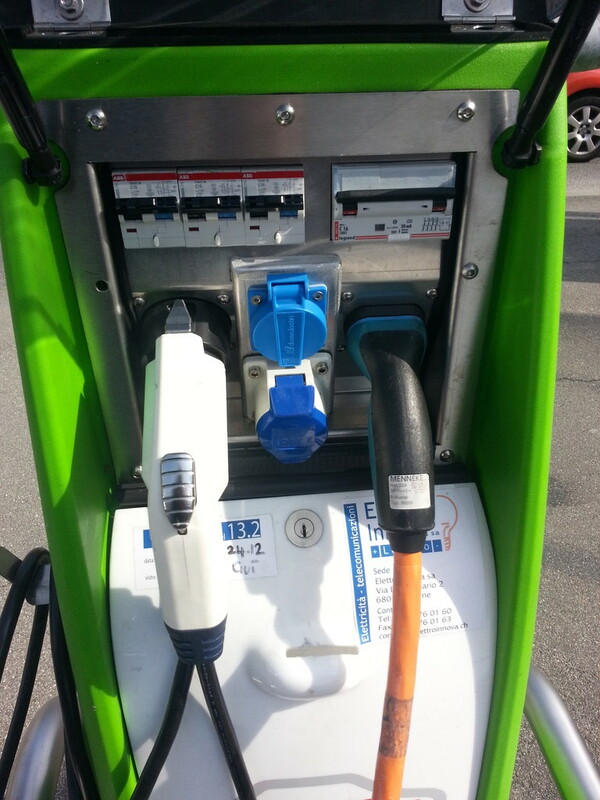 st. bernardino village’s restaurants are struggling to attract enough customers – the owner told me that an ev-driver usually spends much more than any other guest and stays just long enough to enjoy a meal – perfect for him to attract high-turnover business he usually would not have. i stop the charge before the battery is fully charged. i have a 1400m descent ahead and the battery is looking forward to the energy recuperated on the way back down to bellinzona. as i arrive back at about 300m, with careful driving, i’ve been able to get back about 850Wh – the battery is more or less fully charged. 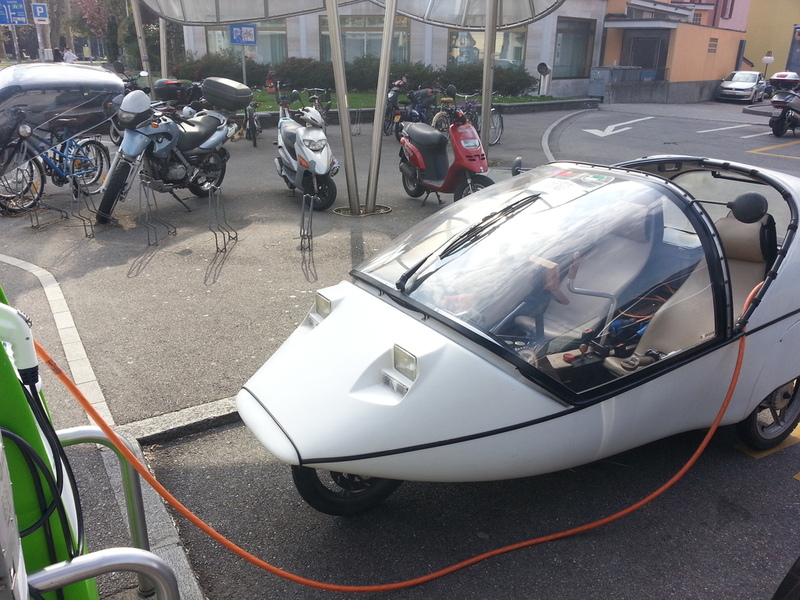 this is why i decide to press onwards on the motorway to lago maggiore, about 20km away. such a beautiful place – just a few kms away from italy, the ice creams are phenomenal! on my way back to airolo, i decide to charge at a RiPartTi charging station – i haven’t got a key, but i’ve been in the southern part of switzerland enough times to know that the charging stations cannot withstand some loving attention. this is where i get to try my type2 connector for a tri-phase charge. 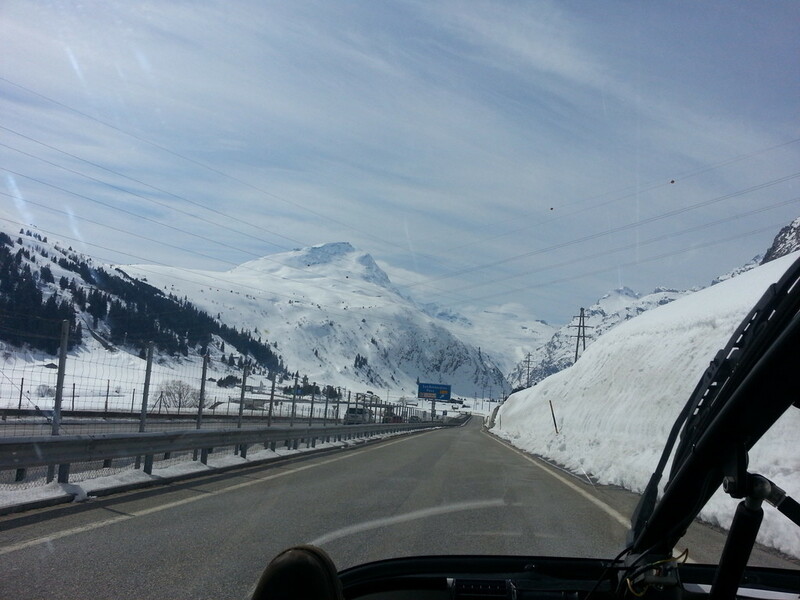 then i head back to the gotthard. 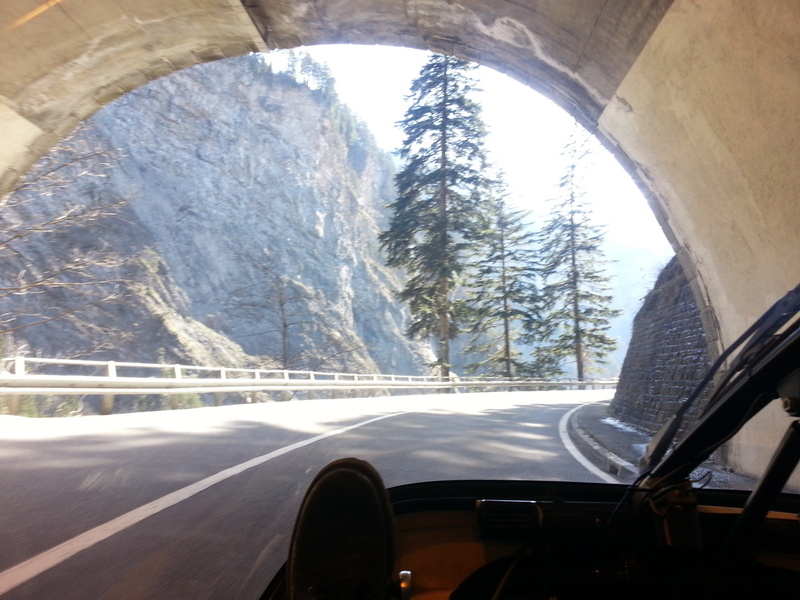 since the gotthard pass is closed, yet again, i have to take the tunnel. this time the temperature differerences are extreme: at the entrance, i’ve got about 11°C. inside, the temperatures slowly rise to about 33°C. 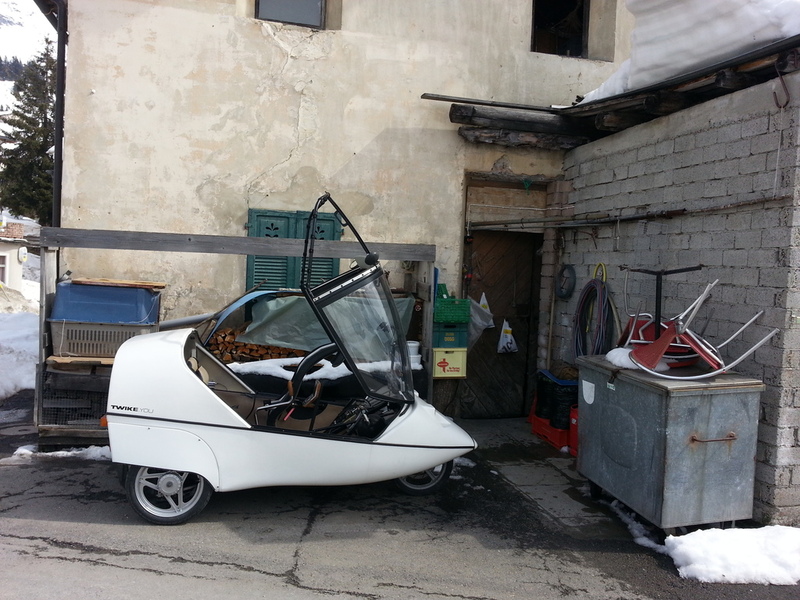 really hot air suddenly engulfes the TWIKE! 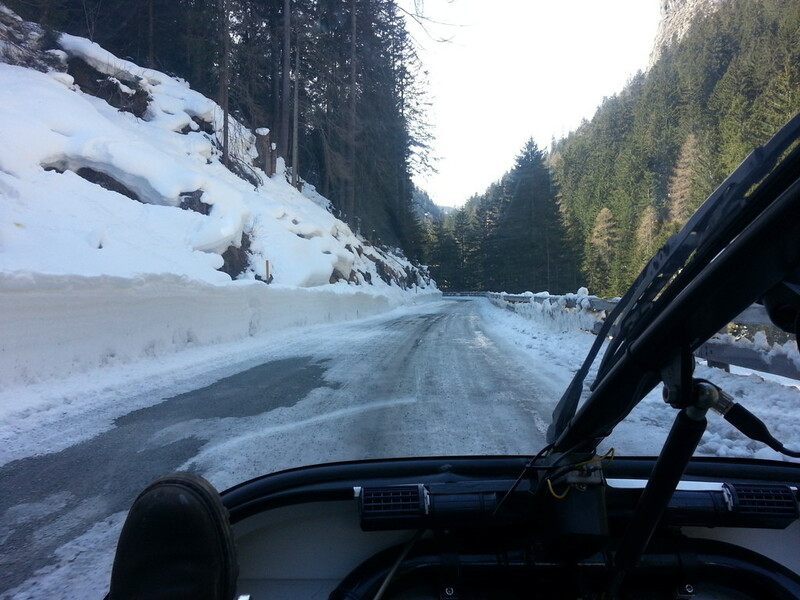 then, on my way back out of the tunnel, temperatures quickly fall back to 10°C… drastic changes! air quality in the tunnel is awful – breathing is really difficult. 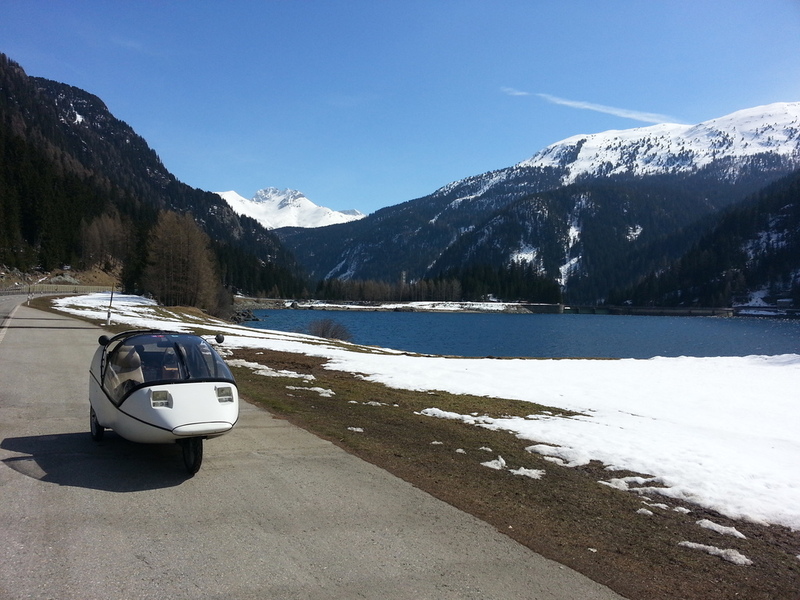 after crossing the alps many, many times, i wonder how our car managed to mask the bad air from us! 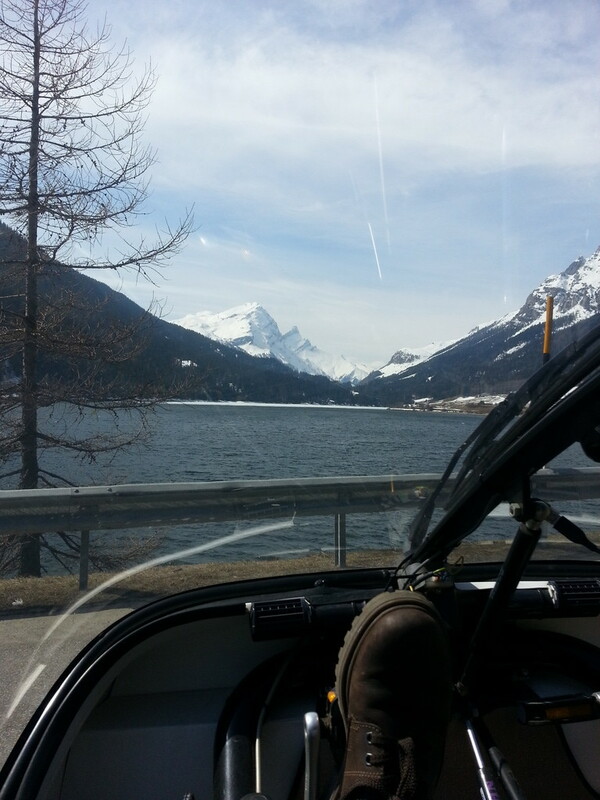 after charging in göschenen – nothing was open so i had to just wait whilst streaming some series via vpn from my server. just 55 mins later, the battery was full and i was able to drive 125 kms home on one charge on the motorway. a very nice day, indeed!